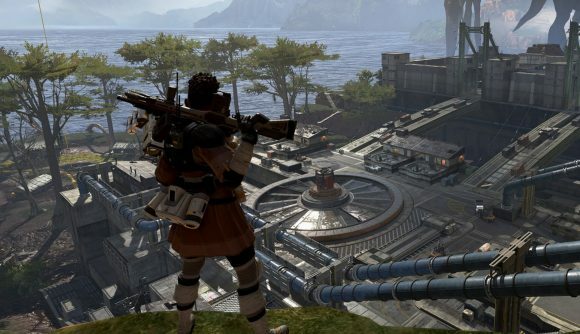 Apex Legends is a new, free-to-play battle royale from Respawn set in the Titanfall universe, and it’s out right now. Rumours and leaks stemming from a recent influencer event revealed some of the major details ahead of launch – there are no Titans, and you’ll instead have hero characters with unique abilities – but ahead of today’s official reveal stream, the game is already available. As leaks suggested, the game has a roster of hero characters with special attributes – called Legends – taking the emphasis away from the Titans you’d typically associate with Titanfall. You’ll build crews with other players, and make use of your group’s abilities to make strategic decisions as each match goes along. The game went live a few minutes ahead of the official reveal stream, which you can still catch on Twitch. You can check out plenty more gameplay details above. The cinematic reveal trailer suggests a goofier tone than the usual tone for Titanfall. Related: Will this be one more of the best battle royale games? It’s available on PlayStation 4, Xbox One, and – again – PC via EA’s Origin client. You can hop on and drop in as of this moment.